Have a vacation in your 'own' pub! Cozy old pub with tiled stove, nostalgic taps on a large, completely furnished kitchen. Perfect for groups or a number of families (8 - 14 people), who want to holiday together. Household help available if desired. Around the house: Lovely garden with old chestnut trees, heated pool, playground and much more. für mehrere Familien genau richtig! wir haben herrliche wintersportferien verlebt- das haus war für uns 4 Familien optimal - Skibushaltestelle vorm Haus ! Frühstück und Abendbrot in der ehemaligen Gaststube selbst hergerichtet und ausreichend Platz für alle . jeden Abend eine Skatrunde -- ohne dass man den Frauen und Kindern im Wege ist! The mountain village of Vorderstoder (800 m) with its fantastic mountain backdrop and wonderful hiking. 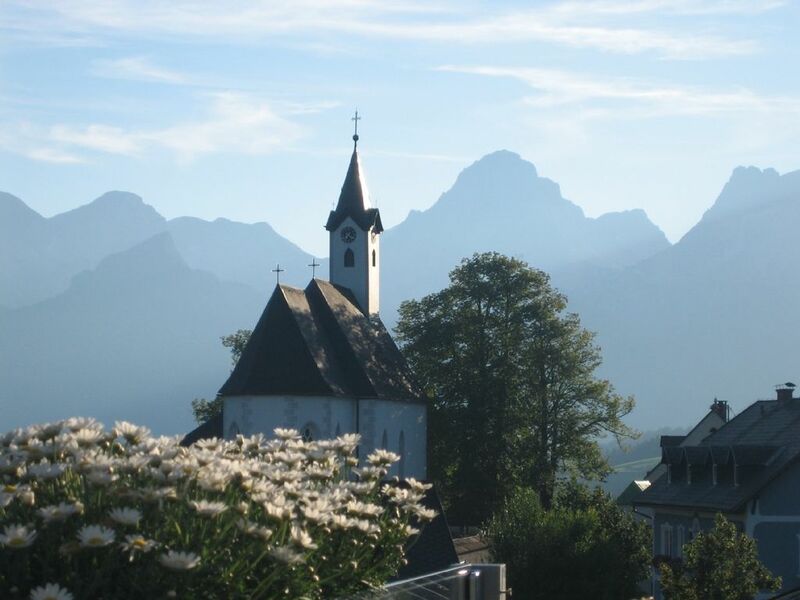 160 km of hiking trails lead to soft meadows or adventurous mountain tours up to 2,514 m.
Ski: The holiday home Steinwert is located in the romantic mountain village (880 m) Vorderstoder. The free shuttle bus brings you 5 km to the World Cup ski area Hinterstoder. 1 godola, 1 six person chair lift, and a number of drag lifts bring you to 1,900 m. Guarunteed snow conditions through artificial snow, all grades of difficulty, illuminated tobogganing run, cross-country, cleared hiking paths.